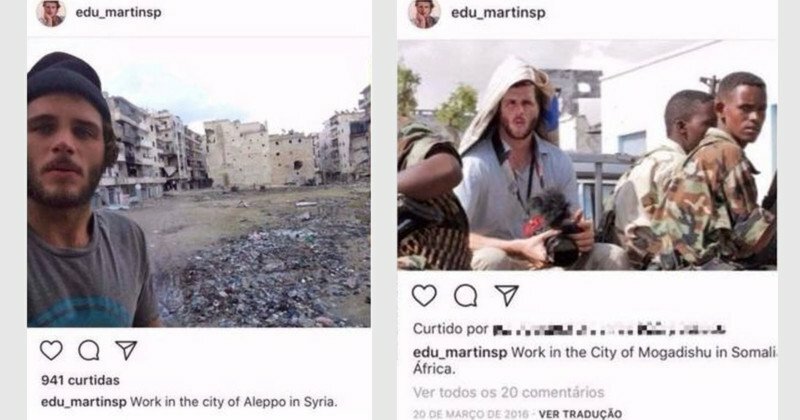 Right now, a conflict photographer named Eduardo Martins is supposedly driving around in a van somewhere in the Australian outback. And you probably won’t see any new work from him anytime soon: he’s in hiding after pulling off one of the craziest cons in the history of photojournalism. 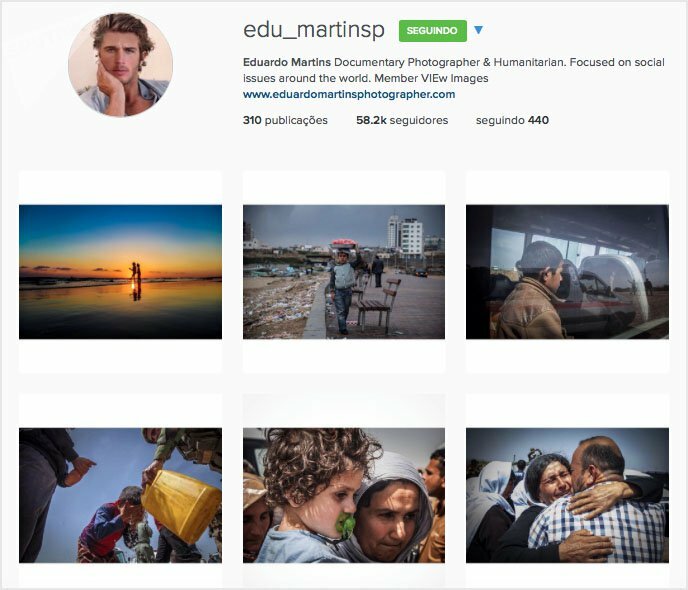 Photos of Martins from his social media accounts. 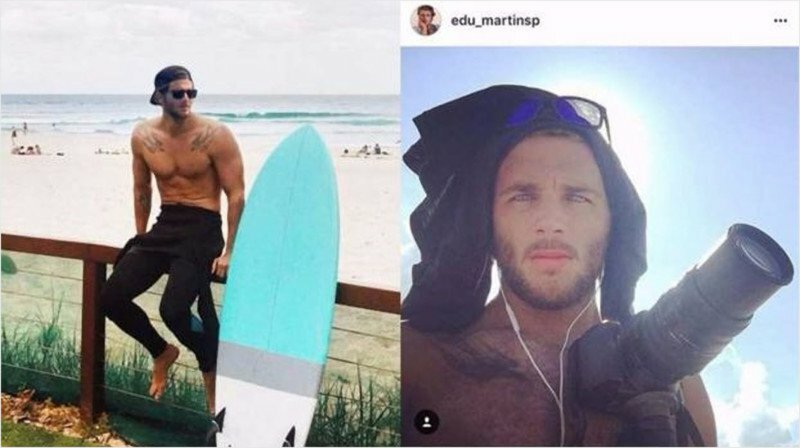 Martins is a blond and handsome 32-year-old documentary photographer from Brazil who’s also an avid surfer in his free time. He won a battle with childhood leukemia while growing up, and eventually landed a mid-level position working for the United Nations. Traveling to locations filled with death and despair gave him the opportunity to take compelling photos, which he published on his Instagram account. Some of his photos were also delivered to renowned photo agencies, including NurPhoto, for distribution. A screenshot of Martins’ Instagram page when it still had less than 60,000 followers. His presence on Instagram not only gave him a massive fan base of over 120,000 followers, but it led to his work being published around the world. From smaller publications such as SouthFront to prestigious publications like the The Wall Street Journal and Le Monde, articles were illustrated with what everyone thought was Martins’ own work. It didn’t take long for the media to become interested in Martins himself. In October 2016, Recount Magazine published a interview with him. In early July, BBC Brazil featured Martins’ work as well. And if it weren’t for some mistakes by Martins and an attentive BBC journalist named Natasha Ribeiro, Martins’ amazing life and photography career would likely still be enjoying its meteoric rise. But Ribeiro became suspicious of Martins after learning about his life and work, and she became even more suspicious when she dug deeper and couldn’t find a single person who had ever met him. 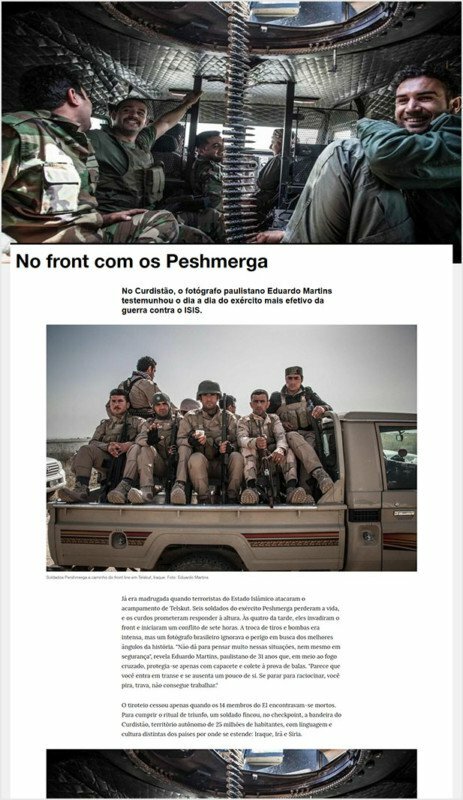 Martins had given a story and photos to VICE about the Peshmerga battle, but two other Brazilian correspondents who were there at the same time said they had never met this newly famous photographer — something that is nearly impossible given how tight-knit the community of conflict journalists is. 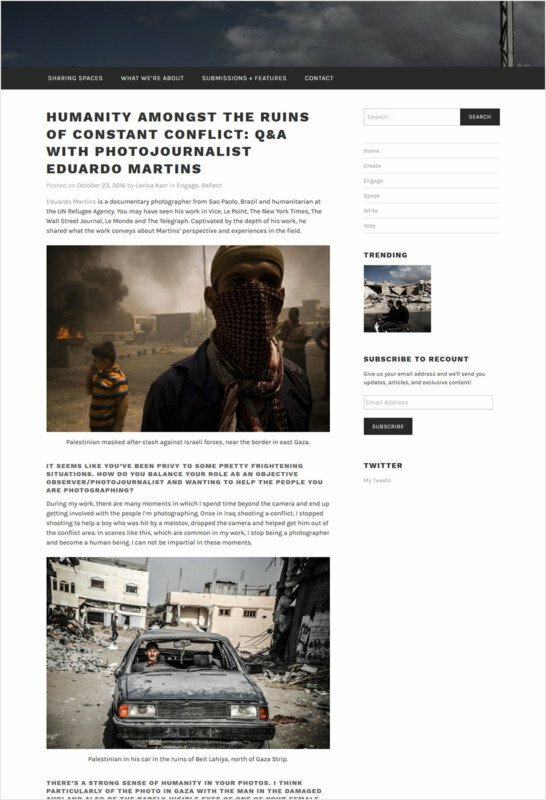 Recently, the well-known DOC Galeria in São Paulo was planning to exhibit Martins’ work in an exhibition about Brazilian photographers in conflict zones. 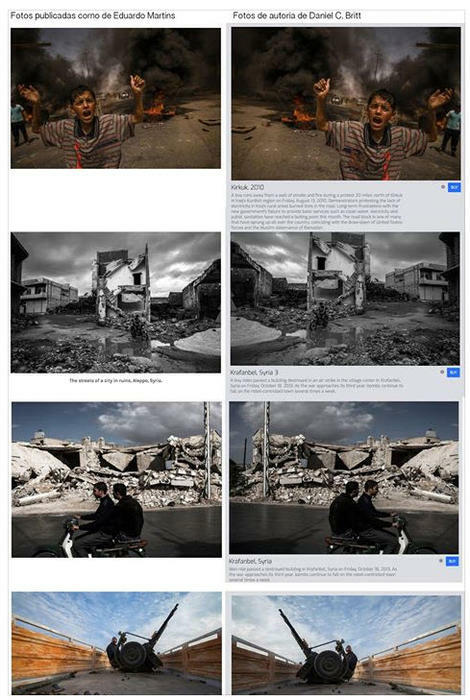 Veteran photographer and DOC Galeria member Fernando Costa Netto got in touch with Martins, who said he was in Iraq. And just like that, the true identity of the young man who claimed to be a worldwide conflict photographer may now never be discovered. 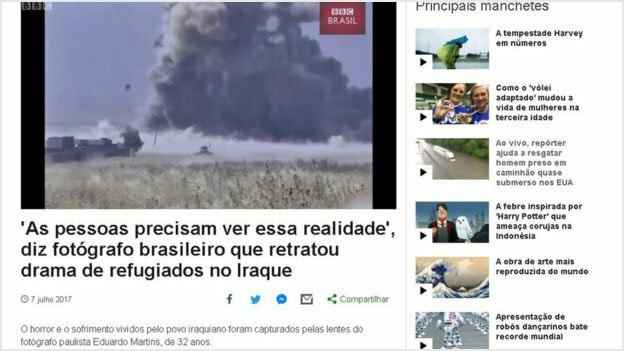 BBC Brazil just published the results of its investigation, resulting in news and photo editors around the world scrambling to pull photos taken by this faux photographer. At least some of Martins work was stolen from American photographer Daniel C. Britt. Martins not only lifted the photos and republished them as his own, but he went to great lengths to alter the images to make them hard to identify through reverse image searches — many of the images were cropped and mirrored. A comparison of photos supposedly by Martins (left) and by Britt (right). Image created by Ignacio Aronovich . A photo by Daniel C. Britt being sold for $575 on Getty Images by Eduardo Martins. One thing that helped Martins weave his fictitious career was the use of prior publications as references for new publications. He placed not only placed tear sheets from prestigious publications such as the Wall Street Journal on social media, but he mailed them to editors when he pitched stories. This helped reduce suspicions, because surely large and prestigious news outlets would vet journalists prior to publishing stories, right? Of course they did… so why go through the effort of doing it yourself?